Use custom sidebars to display related products or more details, to present big sales or great deals, and in general to capture your customers’ attention and increase revenue. 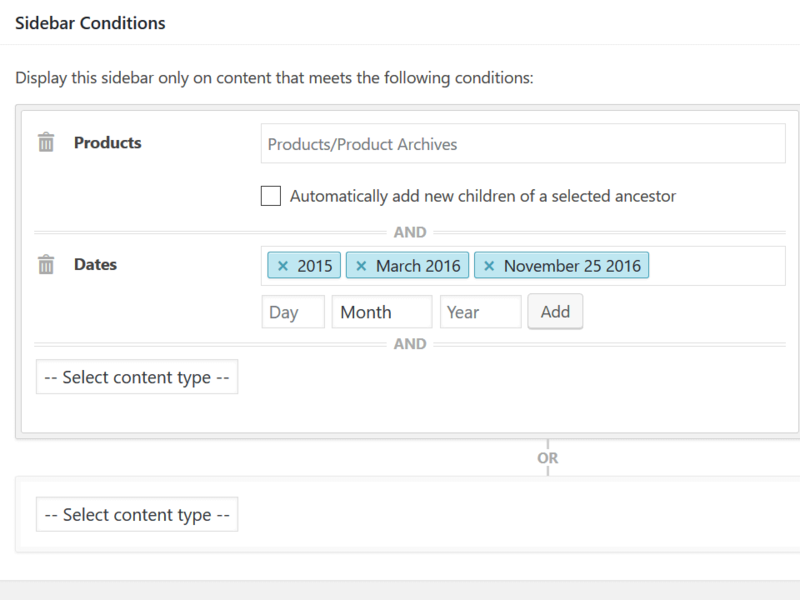 Content Aware Sidebars fully integrates with WooCommerce out-of-the-box. Display widget areas on all or individual product pages! 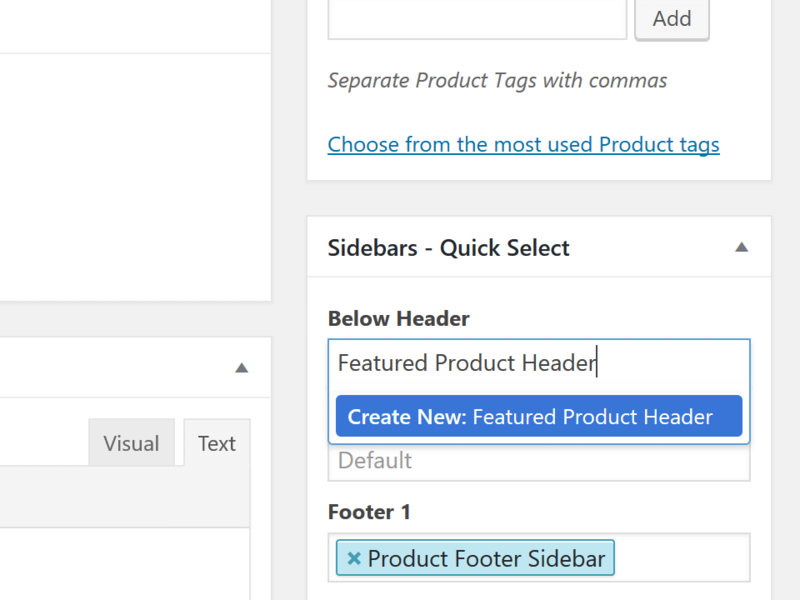 You can select or add new sidebars directly from the screen where you edit the product. Start creating your own WooCommerce sidebars right now. And you don’t have to touch a single line of code. Create widget areas for all products in the Shirts category, Medium size! 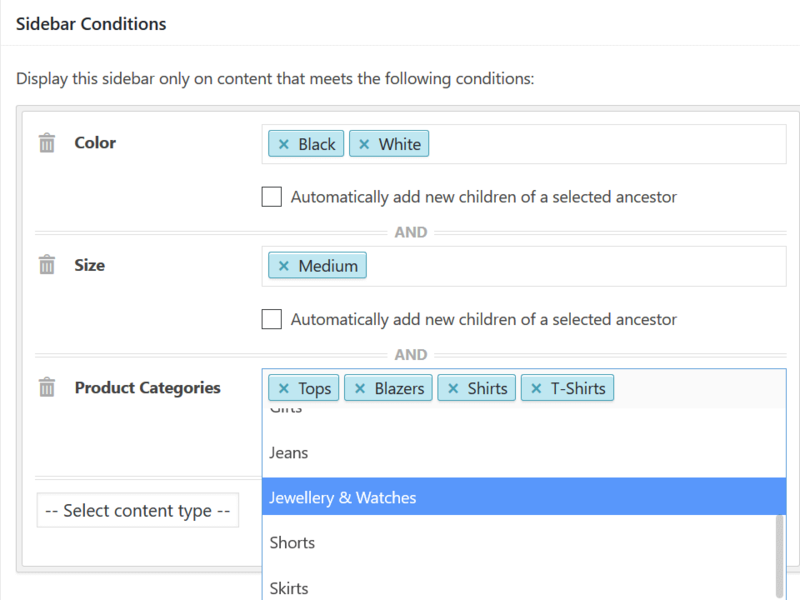 Content Aware Sidebars supports product categories, tags and even all the extra attributes you add in WooCommerce. All automatically. 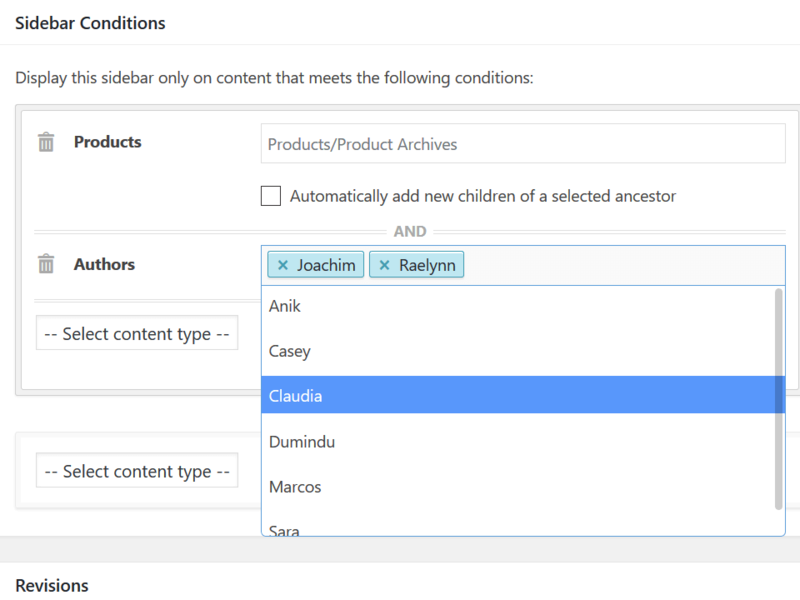 Tailor your sidebars to specific audiences. Multiple people adding products to your webshop? Maybe you run an online marketplace and want the sidebar for top sellers’ products to stand out. When creating the WooCommerce sidebar, just select the vendor whose products you want it to be displayed on. Create custom sidebars for products from a given year, month, or day! That’s right. You can also target your WooCommerce sidebars for all your products from last year, from your spring collection in March 2016, or the new arrivals for Black Friday. You can combine all these conditions on every WooCommerce sidebar you create. Over 400,000 people have used Content Aware Sidebars to add the widget areas they need.